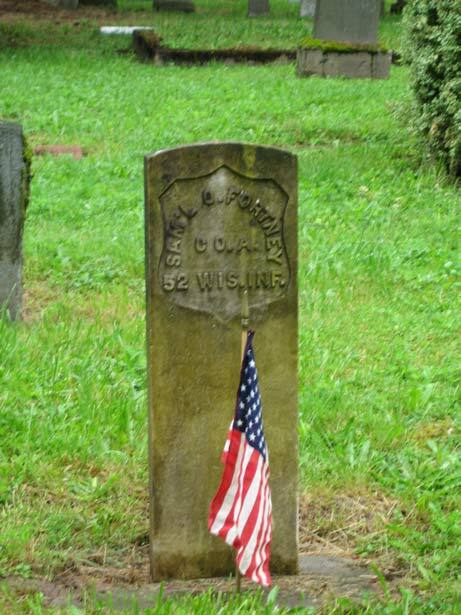 Milwaukie Pioneer Cemetery Assoc. 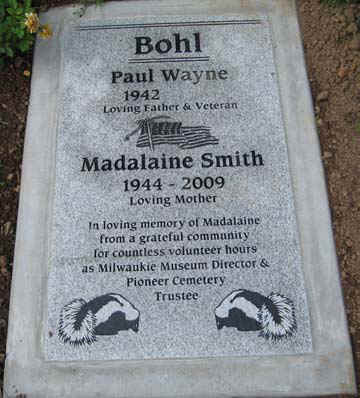 thanks all who donated to the Madalaine Bohl cemetery marker. The marker was placed September 23rd, 2009. Jim will be sorely missed not only by his family but all who knew him and benefited from his enthusiasm, kind heart and generosity. The Board used donations to the Jim Wiley Memorial Fund to replace the picnic table at the Cemetery with one that is much more weatherproof and that can be expected to last for many years. A memorial plaque to Jim is placed on the table for all of the service he gave as a Trustee to the Cemetery since the Association began.